Robust and undemanding: Direct drive by three-phase motor and optimum motor cooling by fluid handled make for efficient power utilisation. Easy to install: The pump’s own weight ensures self-centering seating in the discharge tube, and an O-ring seals it. No anchoring or anti-rotation elements; quick to install or remove. 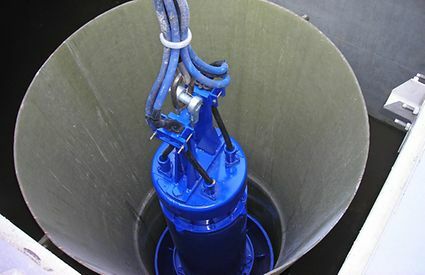 Hydraulically optimised: Low-vibration hydraulic system; bellmouth optimised for vortex-free inflow.